Indian Vegetarian recipes are famous all over the world. The deliciousness and the spicy taste that you get in an Indian food is totally different from others. Once you eat, you will become a fan. On the second hand, when the Chinese style is added to the Indian cuisine, the food becomes more tasty. So, how many Indian Chinese recipes do you eat? How many Indian Chinese recipes can you cook? China is a big country with many spices which when added in adequate quantity changes the taste of food and make it more tasty. So be ready to make the below described dishes at your home. Best Indian Chinese Recipes are easy to cook and the ingredients used are easily available in the market. So you don't have to worry about the ingredients. Once you cook the recipe by reading, next time you can cook it easily without reading the manual. You will find these recipes in any hotel menu. 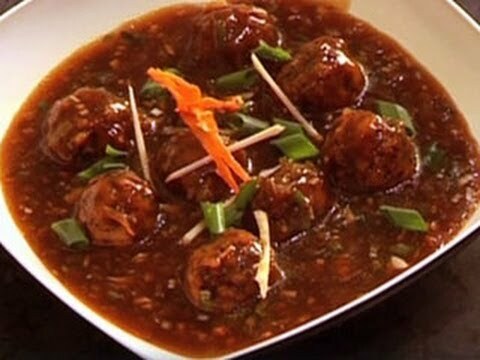 Specially so many people like Manchurian.You can make these dishes easily at you home. Once you practice these, you will have something new to cook every day. 7 days and 7 Indian Chinese Recipes. Try now and share your experience. If you like the post, share it with your friends. Thanks for sharing this wonderful post. I appreciate you for this.